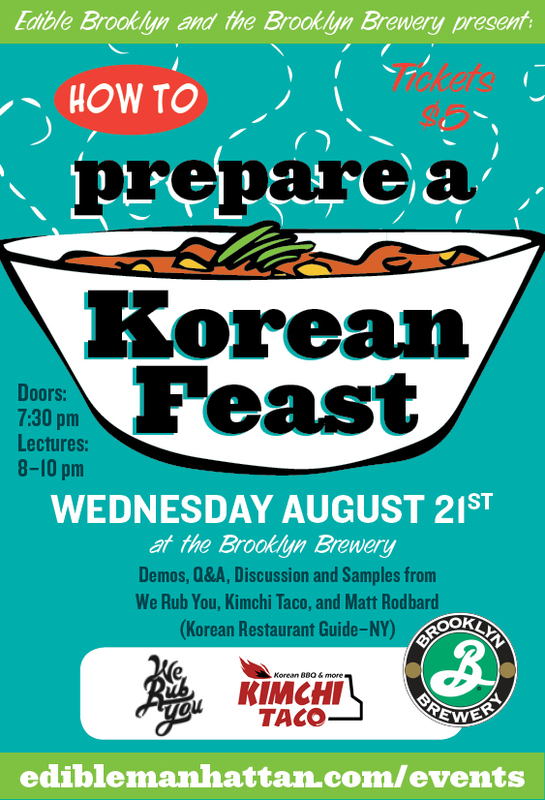 Edible Brooklyn is hosting How To Cook a Korean Feast at the Brooklyn Brewery on Wednesday, August 21st from 8 to 10pm. There will be demos, Q&A sessions and discussions about Korean cuisine and cooking, from grocery shopping in NYC to kitchen tips. The lineup of experts hosting the event include Ann and Janet Chung of We Rub You marinades, the Manhattan-based Kimchi Taco Truck and Matt Rodbard, author of the Korean Restaurant Guide New York guidebook. Tickets are $5 per person and are available here.